I'm Sandra and it's a pleasure to welcome you into my online home. 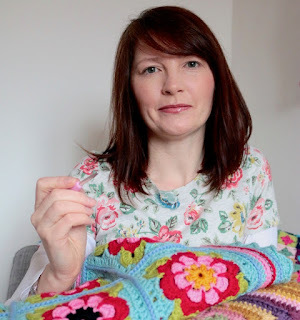 I'm a wife, mummy, designer and blogger and this where I love to share my crafting adventures in colour, crochet, knitting and sewing with you. More about me. The place where it all began and where I continue to share my crafty life with you. 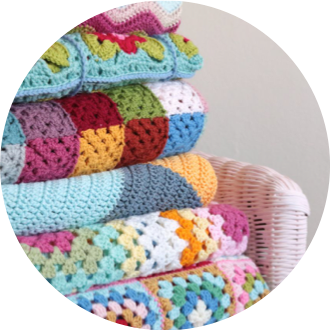 You'll find all my latest patterns here, including free downloads and details on all my blanket makes. Lots of easy to follow photo tutorials. 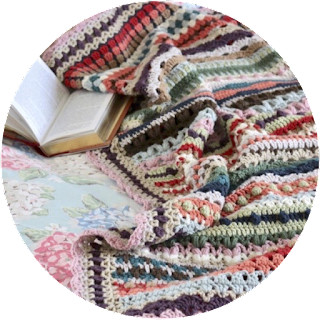 This is a great resource for crochet lovers. You'll find lots of fabulous photo tutorials, showing you all the crochet essentials. I now have a You Tube Channel where you can find my bi-weekly podcast. I like to share all my latest makes, run Cal's and giveaways, keep you updated on pattern progress and show my latest 'incoming goodies'! We'd love it if you came and joined us! 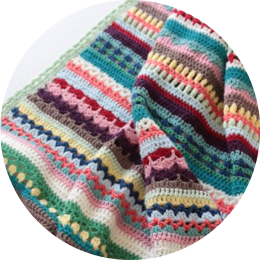 Originally released in parts for Crochet Along together with Black Sheep Wools, the blanket pattern is still available completely free. NEW - Now available as a complete file and there's a version in US terms too! All my blanket project details in one place. Some are fully written up patterns, available to buy or down free. Others are less formal, but I've done my best together gather everything you might need. I've recently had the great pleasure of becoming a Stylecraft Blogstar. As a long time lover of their yarns that's really exciting for me and it means I get the chance to share some juicy insider information with you! 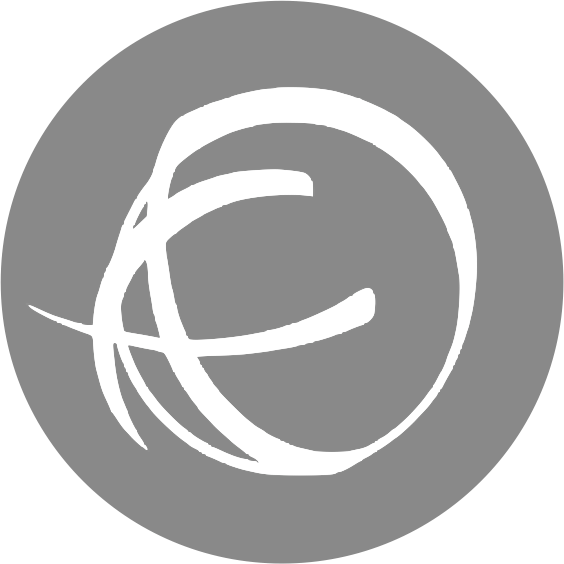 A place to come and share your projects, chat to like minded souls, ask questions and get involved with podcast giveaways and 'alongs'.